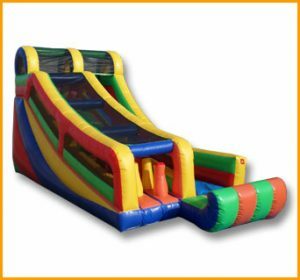 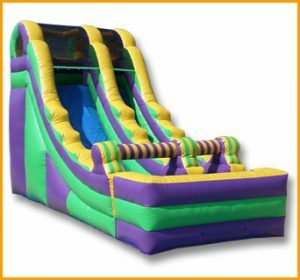 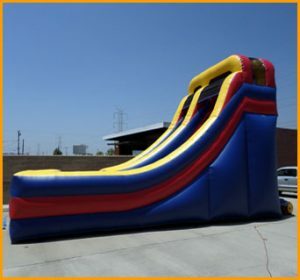 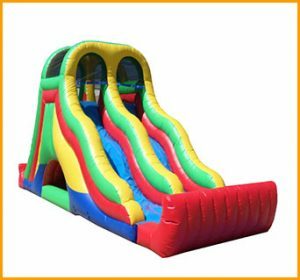 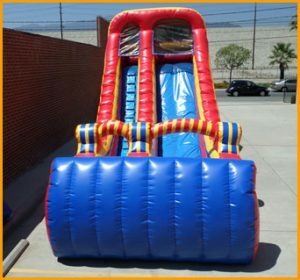 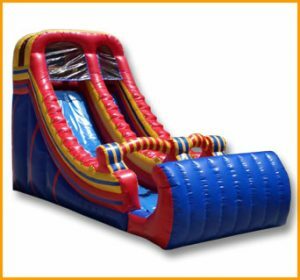 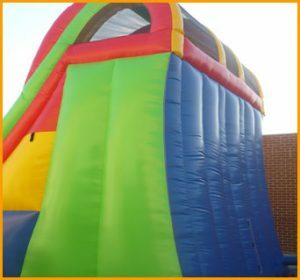 This giant 19′ front load single lane slide is perfect for all kinds of parties because it will keep kids of all ages entertained for hours on end. 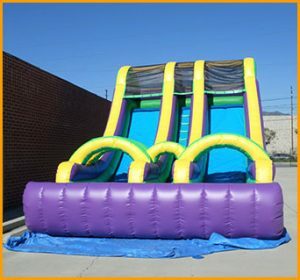 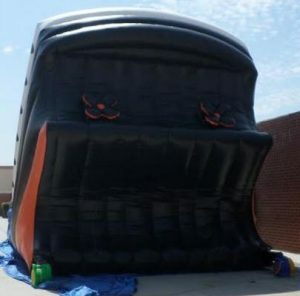 This giant 19′ front load single lane slide will keep kids of all ages entertained for hours on end. 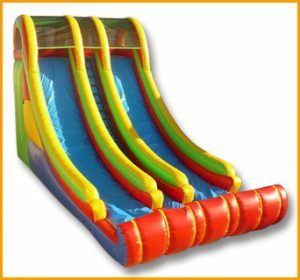 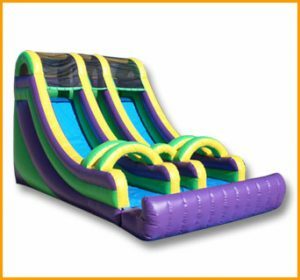 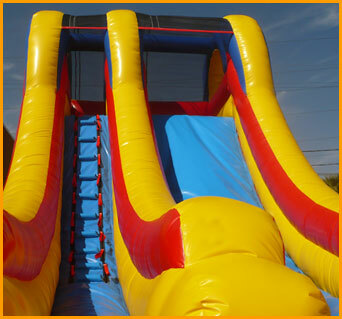 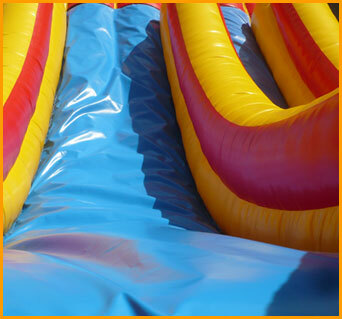 The fun colors of this slide make it perfect for all kinds of parties and celebrations. 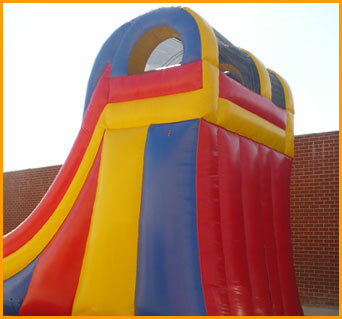 The kids will have tons of fun as the adults relax and watch on. 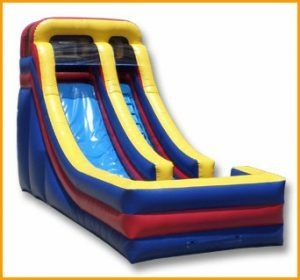 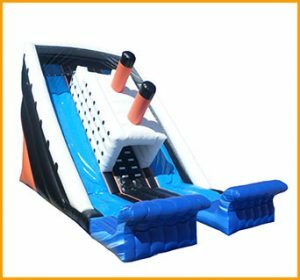 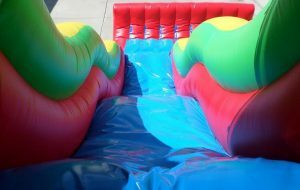 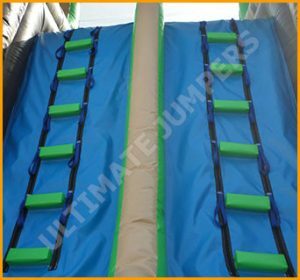 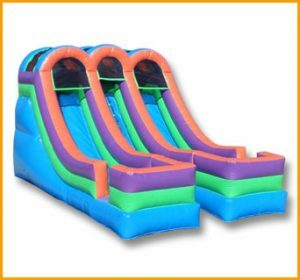 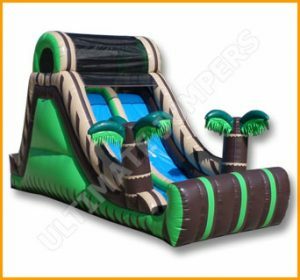 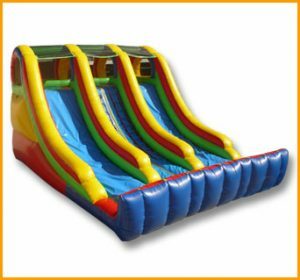 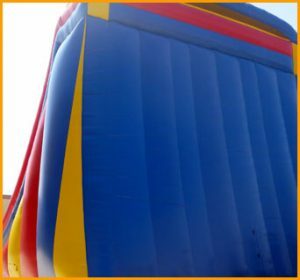 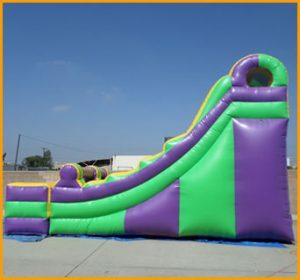 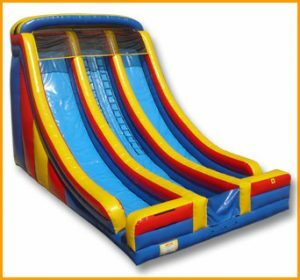 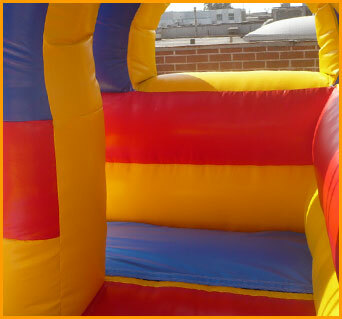 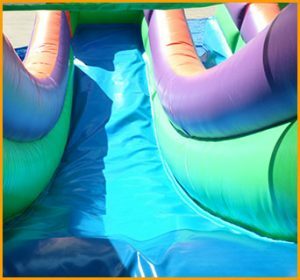 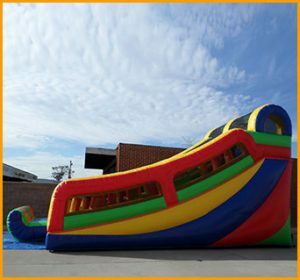 The colors of this slide can be customized at no extra charge, just like all of the inflatable units manufactured by Ultimate Jumpers. 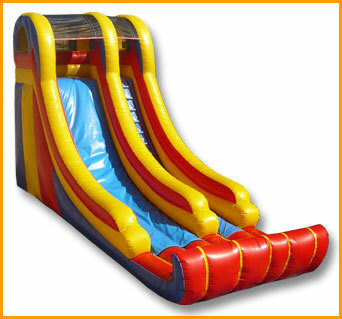 This slide was designed and manufactured with fun, excitement, joy and safety in mind.